Having delivered live streaming for Tier-1 sporting events such as the Olympics, F1, and high profile soccer leagues, LiveStreaming is a proven solution in market. Our mission is to offer the simplest product for video delivery. Providing ingest points, SDKs and documentation, monetise and monitor your content in real-time with LiveStreaming to deliver a first-class live streaming experience. Utilising Switch Media’s powerful MediaHQ platform, LiveStreaming provides capture, encoding and publishing of live streaming video content to web, connected TV and mobile devices. With LiveStreaming you will have the ability to access, manage, edit and monetise premium content, quickly and easily. Our standard offering delivers a low touch live streaming service suitable for smaller events where organisers want to get their content live to an online audience, fast. Our advanced offering is designed for major events and includes catch-up with DVR functionality. Add scheduling via the Media Manager EPG tool, accessible via APIs allowing for third-party app and platform integration. Provide us with a contribution stream via IP, SDI, DVB or beyond and we’ll transcode for multi-screen ABR using our cloud platform. Our authentication component provides you the ability to apply dynamic security based on user profiling. You can use FairPlay, Widevine, PlayReady or other DRM partners to deliver secure content meeting Tier-1 requirements at Hollywood grade. Monetise your content with AdEase Live, Switch Media’s Server Side Ad Insertion product. You can insert dynamic ads into your live stream on-the-fly during live broadcast using cue points in the video feed. For a tennis grand slam tournament, Switch Media provided a “big red button” approach, enabling the broadcaster to air every point of every match while monetising match breaks of their choosing. What’s more, LiveStreaming makes monitoring your content easy with analytics that give you an understanding around traffic volumes, viewer retention and manner of consumption, such as the number of users by location and device. You’ll also get transparency on quality of experience with our sophisticated monitoring system that enables you to track user, stream and device behaviour throughout the event. 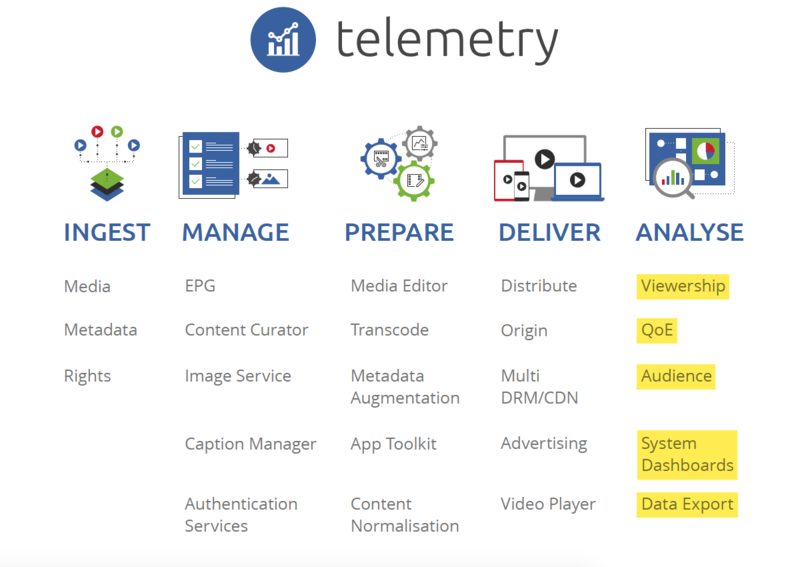 Telemetry is perfectly coupled with LiveStreaming to deliver the insights needed to make data driven decisions in real-time. If you have catch up rights for your live streaming event, utilise Live2VOD for rapid VOD creation. Store, schedule, export, create playlists, categorise and publish video assets quickly and easily. Plus, use the Media Editor component to trim, bookmark and segment live streams for a customised user experience.